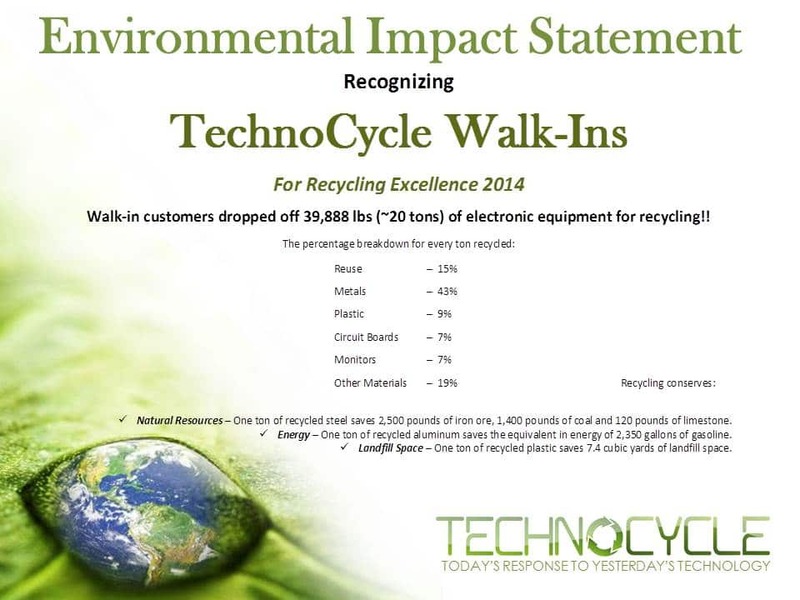 TechnoCycle always welcomes customers to come directly to our facilities to drop off their retired electronic equipment for recycling. In 2014, walk-in customers dropped off almost 20 TONS of electronic equipment–that’s the size of a medium-sized yacht! Thanks to everyone who chose to go green when it was time to recycle electronics–let’s see if we can beat that number this year!